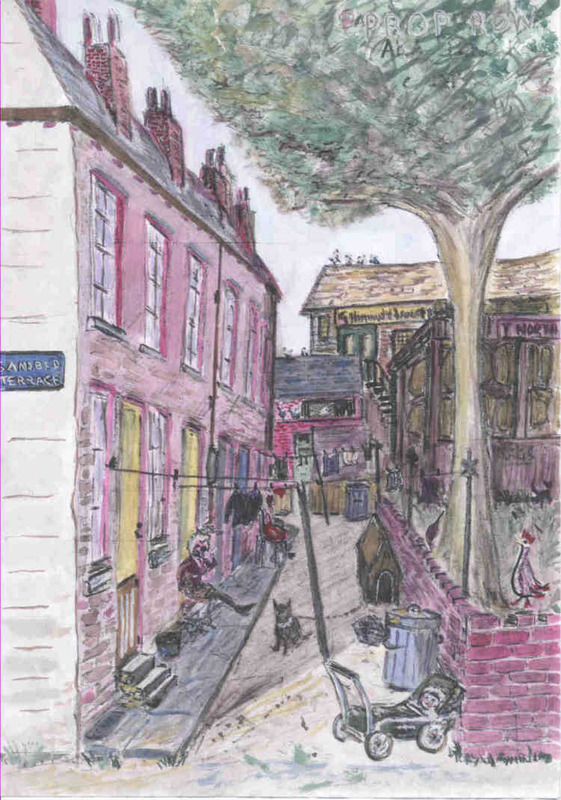 Sandbed Terrace was also known as Prop Row and was known all over the town as being vibrant and lively! There were approximately thirteen back-to-back, terraced houses with a lavatory block at the top of the terrace and very little room. Fortunately, the "Van Field" was immediately adjacent to Prop Row. The allotments and local football field were also very close by. At any one time, as many as thirty children lived in this small row of houses and the washing lines were always out, hence the the name "Prop Row". The north side of Sandbeds Terrace was on the main track to Lodge Hill Farm and the south side bordered "Tossy" North's rag warehouse and yard. At the top end of the terrace was George Hemingway's joinery and undertaking business, which is still there today. Pigeons were kept at the top of the row, above the lavatories and hens were kept in "Tossy" North's field. Dogs and cats were also plentiful.